Projects: Fedex Freight | Callas Contractors, Inc. The FedEx Freight facility consisted of a Terminal/Office building, Truck Maintenance building and extensive concrete paving. This is FedEx Freight's largest terminal in North America. 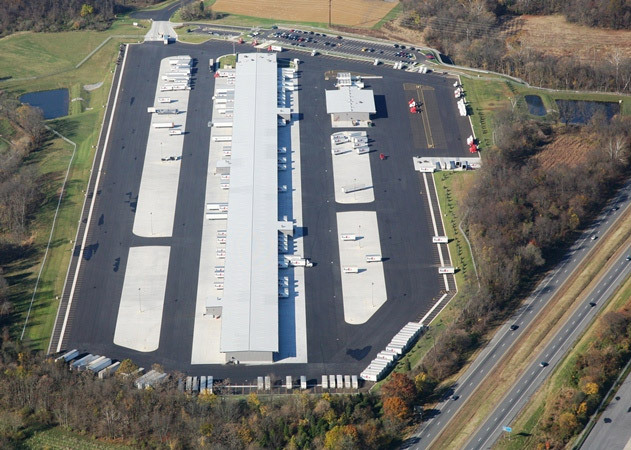 The Terminal is home to 149,680 square feet of freight handling and 8,110 square feet of office space leaving the Truck Maintenance building at 15,223 total square feet. Concrete paving consisted of 491,265 total square feet throughout the site. Callas was awarded 1st place in SBC's "Excellence in Construction Awards" our work with this project. © 2019 Callas Contractors, Inc.